I have been a vegetarian for almost 3 years now. It wasn’t hard for me because I never really ate much meat to begin with, but I did have some turkey on Thanksgiving. Since being vegetarian, my Thanksgiving menu has changed. I know there’s many vegetarians following along, so I figured I’d share how I turn some traditional Thanksgiving meals into vegetarian ones. Stuffing: If making from a box make sure to carefully read the instructions because many stuffing mixtures have hidden “chicken flavoring” in them. Also the main thing is to use vegetable broth instead of chicken broth. Replace turkey with a vegetarian/vegan option! Use a meat replacement if that’s your thing like vegan chicken or vegan “turkey” deli slices. Mashed potatoes or any vegetables: make sure they have no meat product in them. These are an easy fix because most recipes for mashed potatoes or vegetables don’t require any meat. These are the 3 main dishes always served for a traditional Thanksgiving dinner. If you are dairy free, you can always use almond or any other kind of non-dairy alternative milk in a recipe. Per usual, I was scrolling through Pinterest looking at Fall recipes and I found this one for an Apple Spice Dump Cake. 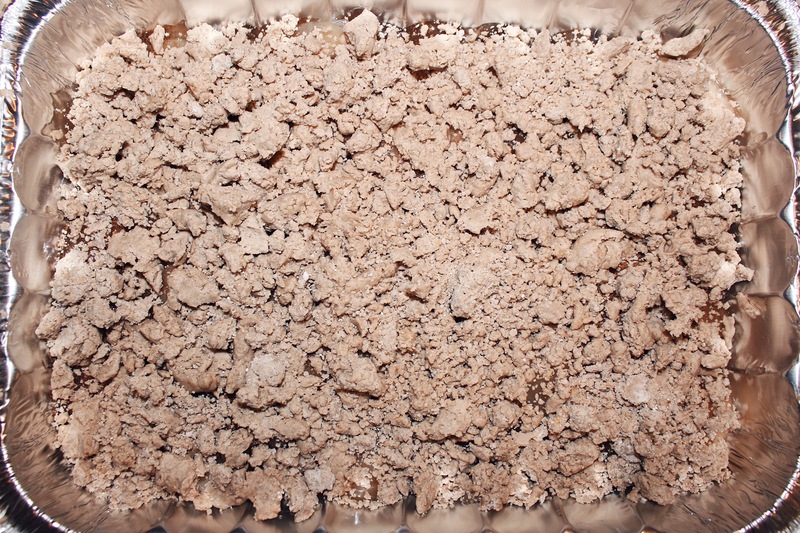 If you’re unfamiliar with what a dump cake is, it’s basically a cake that you can literally “dump” all of the ingredients into a dish and bake. Which is pretty much what you’re going to do for this recipe! 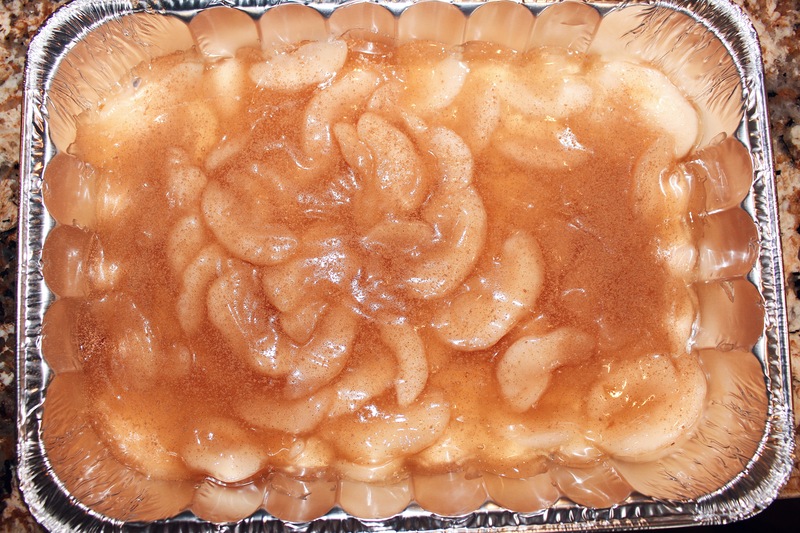 It’s super easy to make and taste delicious, perfect for Thanksgiving dessert! I recreated the recipe and just had to share it with you all! Happy baking everyone! 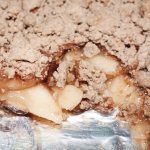 I took the easy route on this cake, but if you’d like to make your own homemade apple pie filling, follow my recipe – Homemade Apple Pie. Start by preheating your oven to 350° F.
Spray your casserole dish with nonstick spray. Then empty both cans of apple pie filling and pour into casserole dish, spreading it out evenly. Coat with some cinnamon for extra spice. 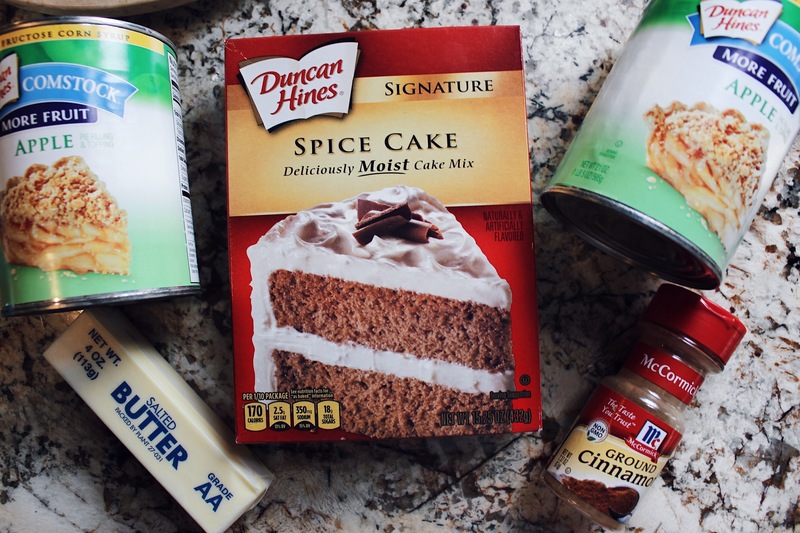 Taking your spice cake mix (dry), pour it into a mixing bowl with melted butter and mix until little crumbles form. 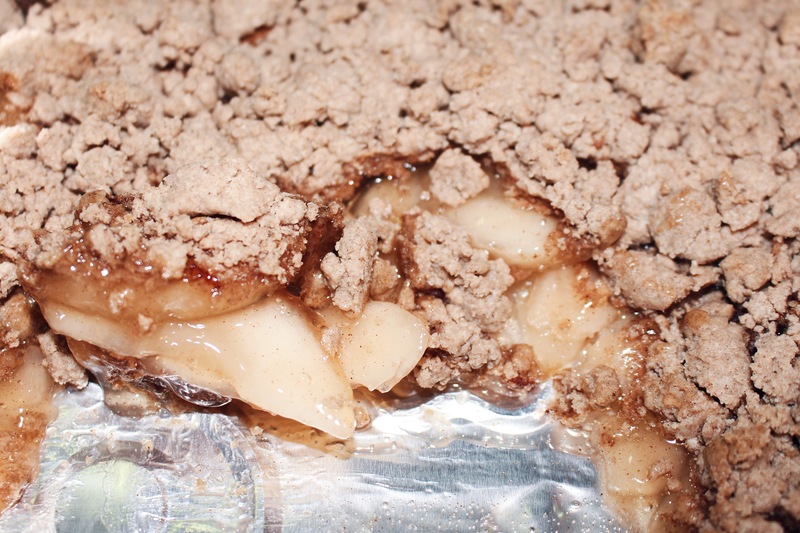 Pour cake crumbles on top of apple pie filling, spreading it out evenly. Best enjoyed hot with ice cream! Cake Recipe adapted from Never Ending Journeys.